3. 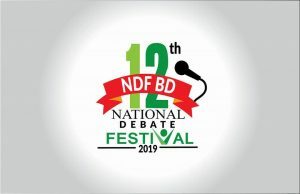 Flag: Every institute must send their own flag within 5 March to Kushtia Medical college(Att:KuMC Principal) to hosting in Festival venue during national Medical college debate competition running. 8. Limited number of Team will be allowed for the competition. Participants having Festival Pre-Registration ID will get priority for the main registration. • Parliamentary format in Semi Final and Final Round. 15. Topic for English public speaking: Peace is possible, if……. • T shirt, Folder, Pad, Pen, Certificate etc. 18. Festival Authority will provide free accommodation for a limited number of participants.